Last week I was involved in a NASA Spaceward Bound meeting in Te Takinga Marae in Rotorua. The purpose of the meeting was to promote interest in Planetary Geology and Astrobiology, and it was attended by about 50 scientists, educators, undergraduates and school students from New Zealand, Australia, the USA, Romania, the UK and Kazakhstan. 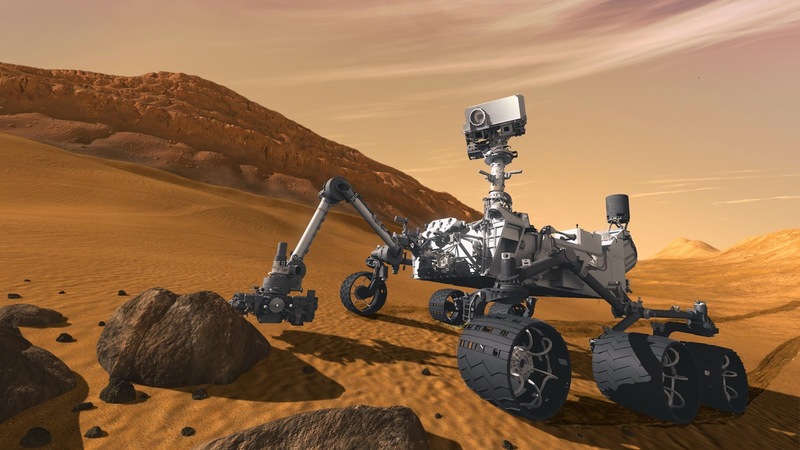 A large focus for NASA at present is the Curiosity Rover that has been exploring the surface of Mars for the last couple of years. 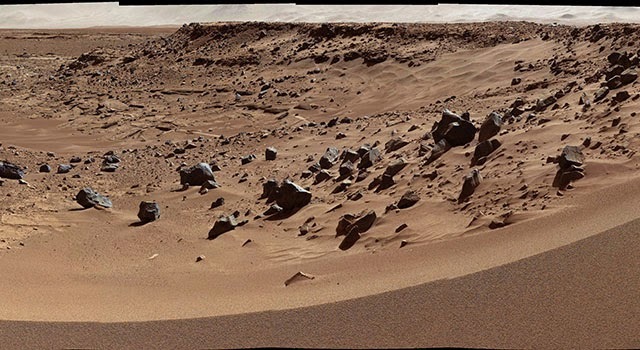 One of the questions for the scientists is whether there are any traces of simple life forms in rocks on the surface. 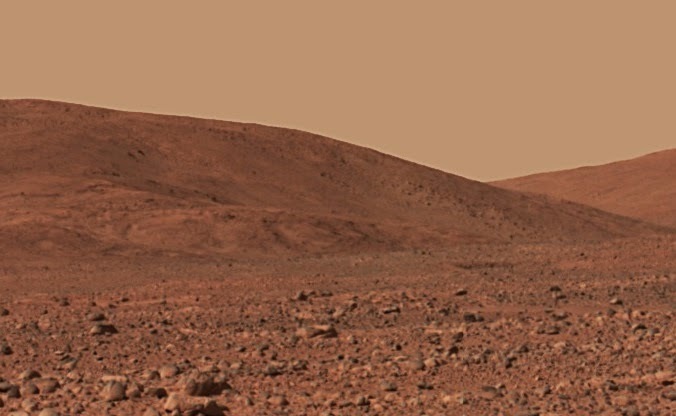 If found, these would show that whilst there may be no life at present on the red planet, it did manage to evolve there in the past under previous conditions. In order to understand some of the geological features that are being observed using Curiosity's various probes, it is useful to get to know comparable geological sites on the Earth's surface that can be investigated and understood at close quarters. During the Spaceward Bound week we made several field trips to visit hot springs and volcanic landscapes in the Taupo Volcanic Zone. The focus of these trips was to see how microbial life can take hold in extreme physical environments such as very hot, acidic geothermal springs, and to see how these living communities leave physical and chemical evidence of their existence (biomarkers) in the mineral formations that build up at these locations. This image shows a silica terrace at Waimangu volcanic valley. The colours are created by different species of microbes that thrive in these harsh conditions. The colour distribution shows the tolerance of particular species to different water temperatures. For more about extremophiles in New Zealand find out about the 1000 Springs Project. Extremophile microbes inhabit the hot mineral rich water that creates the rock formations at Pariki Stream, Rotokawa. The bacteria leave visible biomarkers in the sinter left behind as the mineral laden water evaporates. Parag Vaishampayan, a research scientist at NASA, took a close look. This small radio controlled rover was designed by Steve Hobbs at the University of New South Wales. It is adapted for remotely investigating hot springs, and includes a number of sensors such as spectrometers, a camera and a non contact thermometer. the quadcopter that you can also see in the picture has been adapted by Matthew Reyes, (a technologist at NASA) to scoop up water samples that can't otherwise be easily accessed. Part of the field investigations included a study of plant colonisation of lava flows in the Mangatepopo Valley in Tongariro National Park. This photo shows a young lava flow on the slopes of Ngauruhoe volcano at the head of the valley. 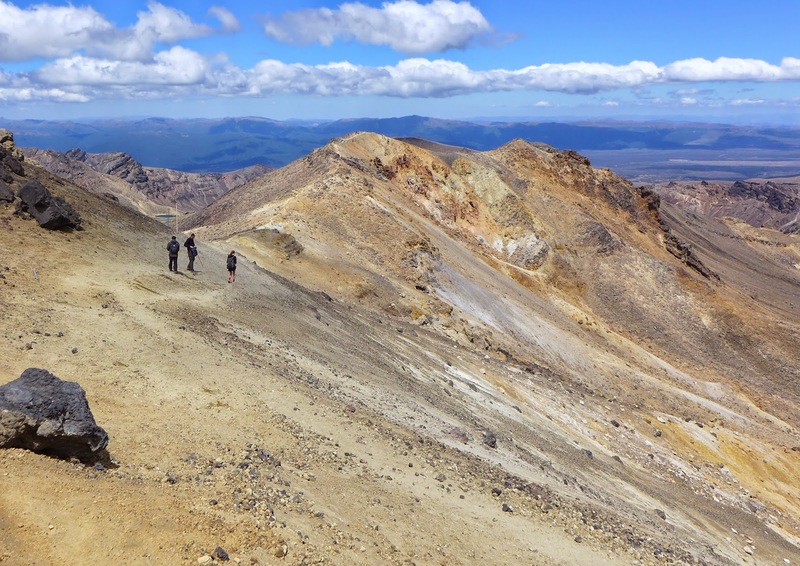 We also went on an excursion over the bare volcanic landscape of the Tongariro complex. For more information about astrobiology have a look at the New Zealand Astrobiology Initiative website, and to find out about Spaceward Bound New Zealand have a look here. Finally here is a news clip from TVNZ about Spaceward Bound, and an interview with AUT scientist Steve Pointing on National Radio. NASA is doing great work for space and earth. It is indeed advancing with advancement in technology. These pictures are amazing showing different technological machines and tools. Great work. Keep sharing more innovations.